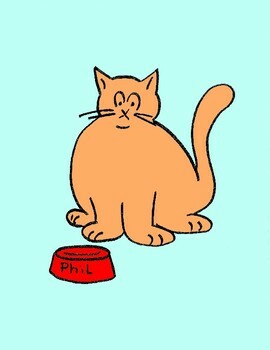 Phil is a hungry cat and he's looking for food! 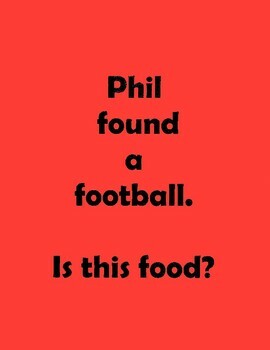 He comes across an array of items starting with F that he tries to eat. 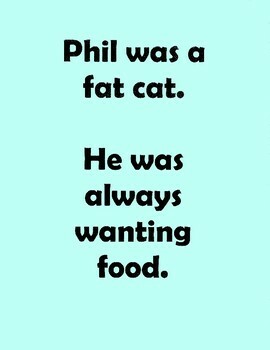 This humorous printable story pairs easy F words with pictures and invites kids to try to predict if Phil will eat what he finds and what will happen to him if he tries. 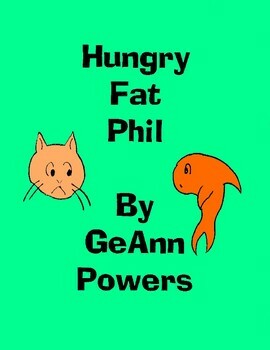 The back page has pictures of the items targeted in the story to use for review in retelling the story or for eliciting the F sound.